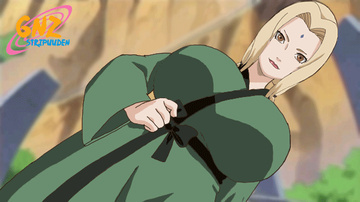 Kurotsuchi has short, black hair and pupil-less pink eyes (depicted as black in the anime). She wears what seems to be a long, red kimono with the sleeve on her right arm missing as well as the bottom left side of the kimono, the brown Iwagakure flak jacket, fishnet tights and shorts over them. Kurotsuchi is generally calm and easy going. 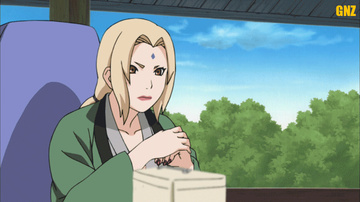 She has displayed a powerful loyalty to her village, as she was more interested in killing the jinchūriki of the Eight-Tails and Nine-Tails than actually protecting them. She decided this was the best plan so Iwa could become stronger than Konoha and Kumo.